Car Sketch Tutorial, Fast Ideation. When I look at portfolios, to give a feedback, I often see lots of sketches with too many details. If you decide to draw all details on each sketch you risk losing the “ideation feeling” or that right mood that will bring you to find an interesting proportioned car sketch. For this reason, I made a car sketch tutorial to explain and show how to just have fun looking for new proportions before thinking about design and details. In other words, do not close yourself to fast into a styling mood. Proportions come first! Do you want my personal feedback on your work? The Course is about how to start sketching cars starting from basic tutorials, it will last 4 weeks from the date of start: 16th of January 20017, end on the 16th of February! It is important for you to validate your inscription before the 16th of January! Remember that every week I will give you homework to do, you will upload your homework done and I’ll critic or draw corrections and also write some comments to help you understand better your mistakes and how to improve. I made a short video showing my method to start sketching a car in side view. Please follow and enjoy! 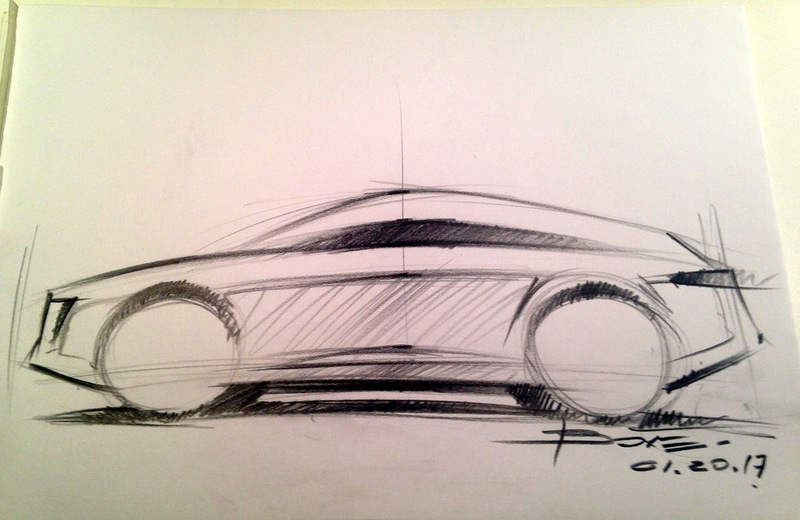 Michele Leonello is an expert Car Designer (former Alfa Romeo designer) and also one of best SPD Design school teachers in Milano Italy. 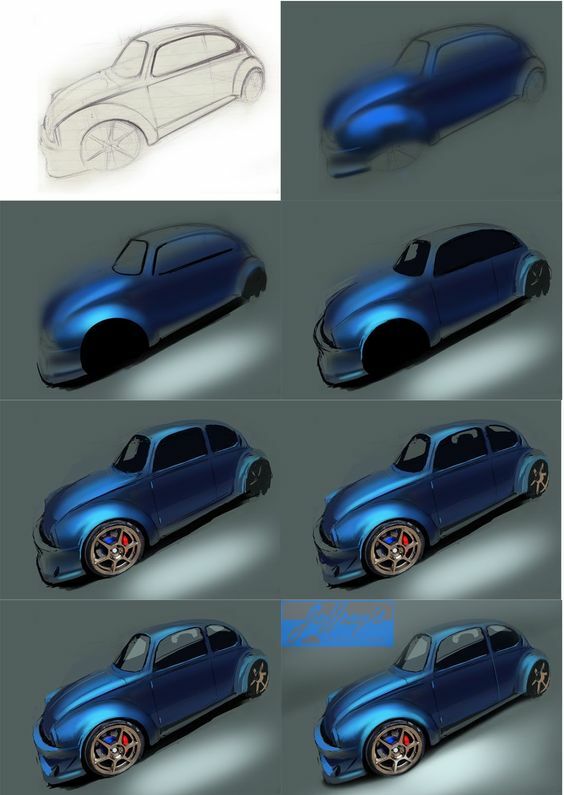 Michele made this great step by step marker car sketch tutorial to clearly explain his own technique and methodology, so here I am presenting it to you because it might be useful to understand and of course exercise! Visit Michele Leonello website here! Alain Derosier is a French young designer working in China. Today looking at his blog I found this nice Photoshop tutorial that I am happy to publish here to show it to you. As you can see Alan starts from a free-hand simple sketch that already has the right proportions, perspective, line quality and composition on the page. The wheels are very well done following the perspective. What really is strong in this illustration is the control of its Focal Point (front wheel/hood/ground) with the light effect which is driving our attention to it first before admiring the rest of the illustration. Reading from left to right. The balance between the light and shadow is perfect and the color treatment, too. 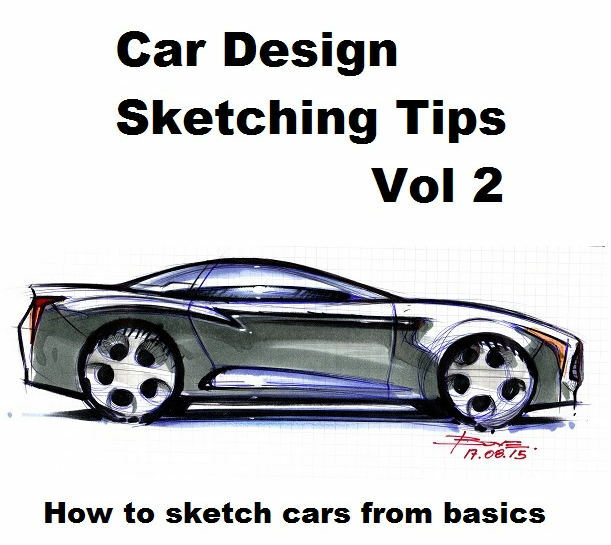 Sketching Wheels’ Tips is my latest eBook about how to draw cars correctly. I receive many requests to see portfolios and car drawings, often I see sketches with wheels not respecting perspective rules and it is a very bad mistake. 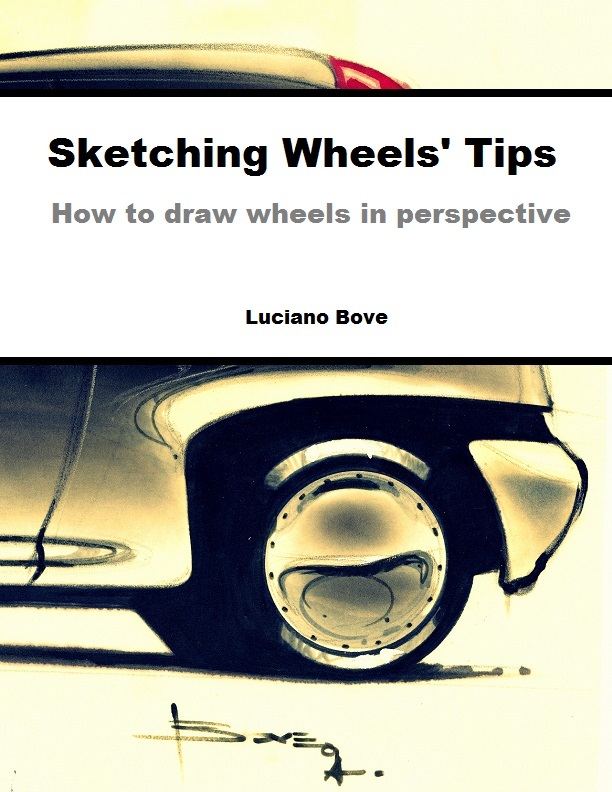 For this reason I decided to dedicate a short eBook (21 pages) to this topic to explain basic rules to draw wheels in perspective on your car sketches. Mostly how to do it correctly.